Give your vehicles and investments the greatest amount of coverage and square feet with our 30-foot wide metal carports. Large enough to protect at least two vehicles, if not more, each long-lasting shelter is constructed out of a heavy-duty galvanized steel frame and a 29-gauge steel roof. Components naturally prevent UV rays and water from entering, and thus gradually damaging equipment, vehicles, and investments, and, in the process, stay strong in the face of the elements, rot, rust, fire, and termites. 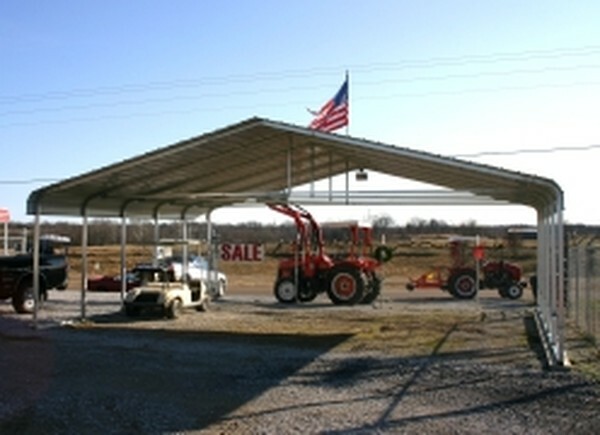 To set up a high-quality, long-term storage solution, look no further than our selection of 30-foot wide metal carports. Browse our options for the precise size.